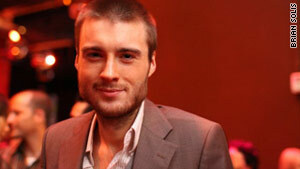 Pete Cashmore asks: In a world of social networking overload, why would anyone spend time on Google+? (CNN) -- Google+, Google's new social networking service, might cautiously be called a hit. With 25 million visitors at last count, Google+ may well be the fastest-growing social network to launch thus far. A glance at Google+'s most popular users, however, would indicate that the social service is still a playground for tech's early adopters. The unofficial leaderboard of the site's "most circled" users is dominated by technologists -- from Facebook founder Mark Zuckerberg to Google founders Sergey Brin and Larry Page. Even I make the list -- and while that's surely flattering, I'm hardly a household name. This is the next great challenge for Google+ -- mainstream users may now be hearing about the service from time to time, but in a world of social networking overload, why would anyone spend time on Google+? It's a question I struggle to answer: Google+ is certainly more fun to use than some of its rivals, but pinning down its specific advantages can be a challenge. After all, the main features of the service are familiar: Post text updates, photos, videos and links to your friends from the Web or your mobile device. What's the big deal? I polled the Google+ community for answers to Google's marketing conundrum, and 10 distinct differences emerged. Could these be enough to convince the masses? Overwhelmingly, Google+ users say they prefer Google+'s model for organizing your contacts. While Twitter allows you to "follow" others, and Facebook is all about mutual "friendship," Google+ instead introduces the concept of "Circles." Circles are groups of friends with different labels such as "co-workers" or "family." Users can choose to share each update with a different group, and also view their incoming streams by group, rather than all at once. "I'm finding the circles help with keeping my life and work separate," explains Google+ fan Richard Walden. Google+ users say they find the service's privacy settings easier to use. This might be surprising given that Google+ profiles themselves cannot be private. However, thanks to Circles, it's easy to control which users can see each of your updates. "I want fine grained control of how my posts are shared," says Jen Delisle. Twitter might be king when it comes to brevity, but Ward Anderson says he reads more insightful postings on Google+. This thoughtfulness is enabled by Google+'s higher character limit -- users can post multiple paragraphs of text, versus one or two sentences on Twitter. Google+ users, including Dave Francis Rotaquio, say they love that Google+ is currently ad-free. With Facebook having run ads for years, and Twitter now ramping up its use of advertising, Google+ is now one of the few successful social networks that lacks commercial interruption. However, the free lunch is unlikely to last forever: Google runs the largest ad network on the Web and may eventually have to face the economic realities of operating a large social site. Want to video chat with up to 10 friends? With Google+, switching from a text chat to a group video conversation takes a click -- and it's one feature that Google's rivals lack. Facebook now supports video calls thanks to a deal with Skype, but group chatting isn't possible there. What's more, Google just integrated this "Hangouts" feature into YouTube, letting you and your friends chat about videos while you watch. Google+ makes its games less irritating, says Inniya Kim, by relegating all gaming updates to a dedicated tab -- this keeps your stream free from noisy distractions. So if Farmville were ever to come to Google+, few would consider it a pest. Some Google+ users say the network is becoming a leader in photo-sharing: Full-screen photo galleries and a highly active community consisting of some the Web's most popular photographers must surely have helped here. Who said social networks don't need great customer service? The creators of Google+ are active on the service themselves and use it to respond to questions and criticisms. Rob Michael feels this has made Google+ feel more collaborative. Perhaps it's simply the lack of advertising, but many Google+ users say they like Google's clean, white aesthetic. On Google+, there's nothing to distract you from the content. Fans of Google's other services, such as Gmail and Google Calendar, say they like the way Google+ works across many of Google's existing products. "They had everything else, for the most part, already working so all they needed was to add the social networking aspect to things," says Josiah Stone. Perhaps the greatest selling point of Google+ is the most obvious, however: It's new. The opportunity to start afresh with an up-to-date list of friends, no spam, no ads and an uncluttered interface is a novel experience for those of us who have spent years maintaining profiles on other websites. Whether that "new car feel" lasts -- especially for neophiles like me -- remains to be seen.